A truly splendid tea set for breakfast. 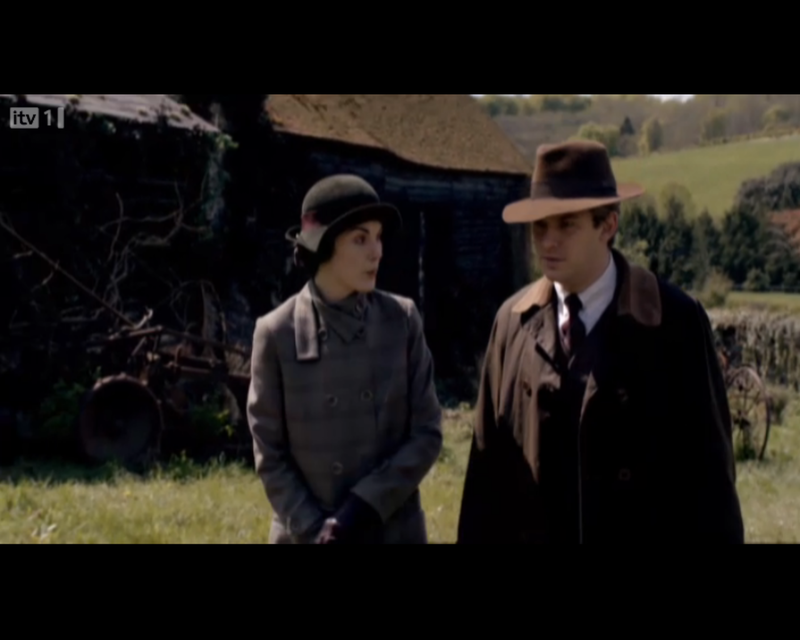 Anna visits Bates in prison. She is shocked to discover that her new hat is not the top of his priority list when he’s facing a life sentence for murder. 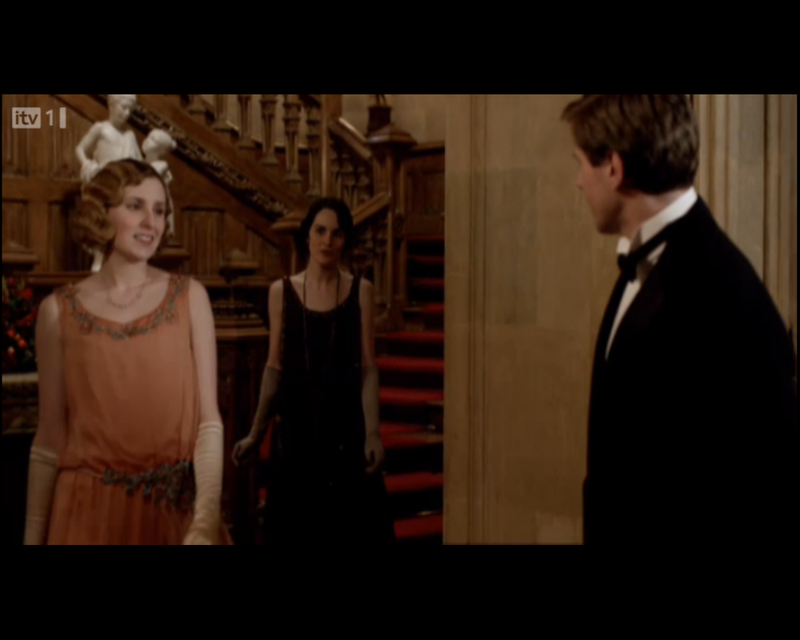 Lady Edith in a wonderful tangerine creation, beautifully complementing her hair. His ‘n’ hers plaid. This season’s must have look. 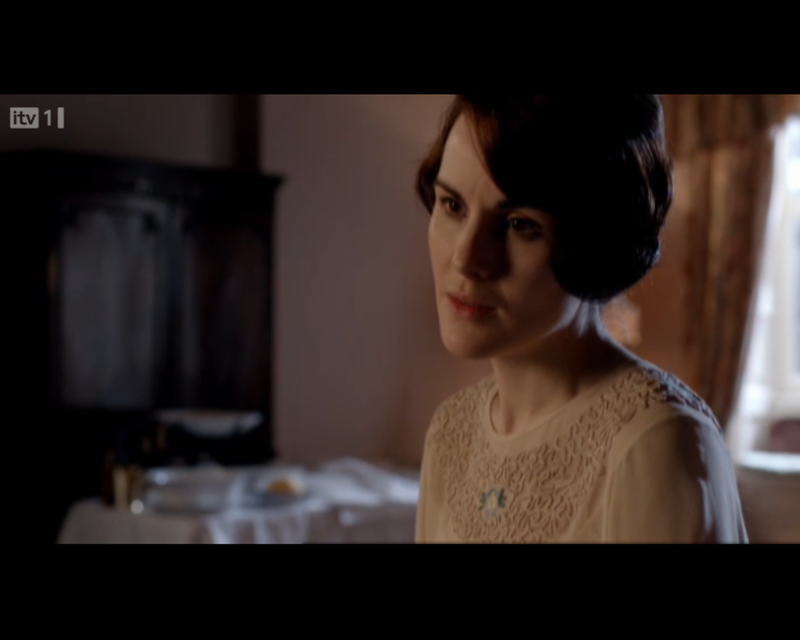 Some wonderful detailing on Lady Mary’s 1920s blouse. 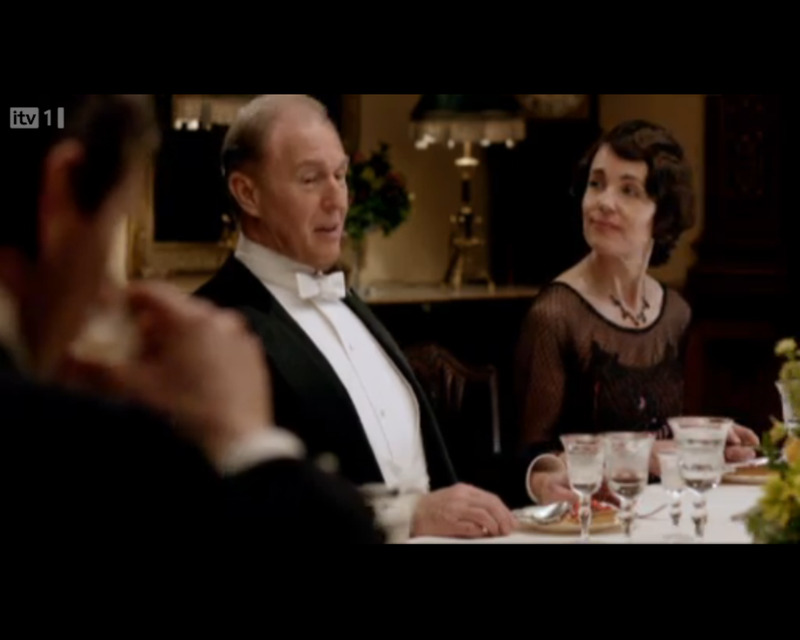 A lovely day dress for Lady Sybil – maternity wear in the 1920s isn’t that bad, after all. 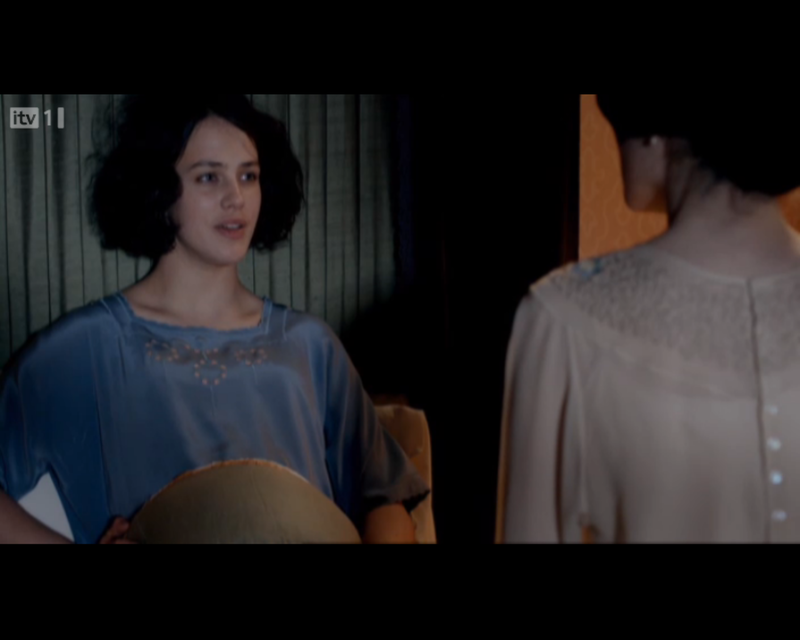 Ladies Mary and Edith in nightwear sets. It’s worth getting up in the middle of the night just to wear those dressing gowns. 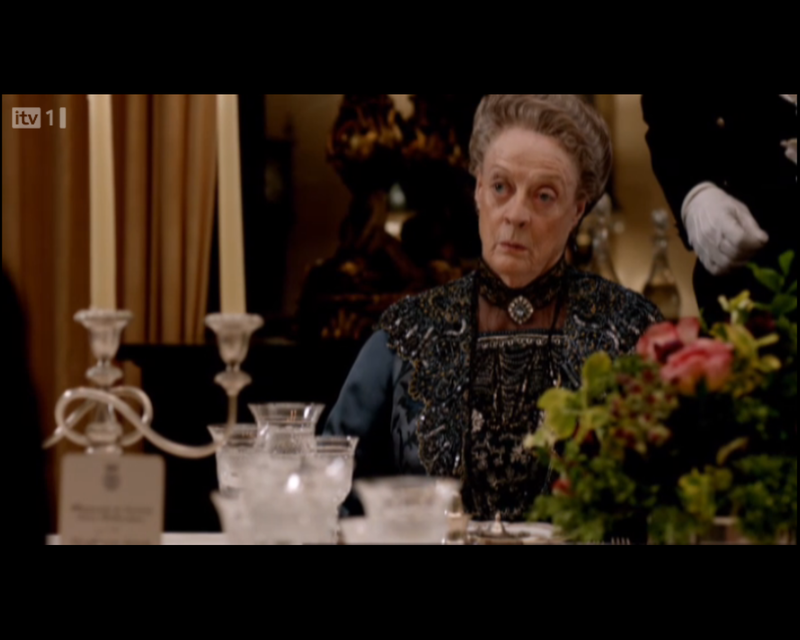 Countess Cora wearing a gorgeous sheer black evening dress – to die for! I’d give my eye teeth to just to be in the costume department for that show. I seriously love those dressing gowns.